We have made these beautiful Diya Set. 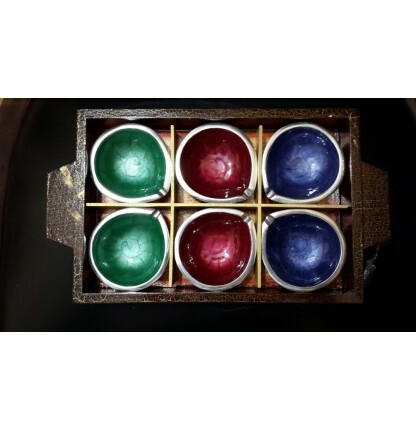 6 pieces in a nice handcrafted wooden tray. A beautiful gift indeed!